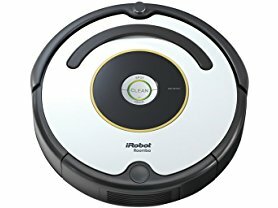 Hurry over because today only this iRobot Roomba 620 Robotic Vacuum is just $239.99 (Reg. $399.00)! I have really been thinking about getting one of these for my house. The Roomba 620 Robotic Vacuum provides a thorough clean, all at the push of a button. The patented, 3-stage cleaning system easily picks up dust, pet hair and large debris like cereal. Roomba works on all floor types, and at just 3.6 inch tall, is specifically designed to fit under most furniture, beds and toekicks.